The Price is Right debuts a new game, plus Let’s Make A Deal brings back Mega Deal Week. Get the full details of the new pricing game here, and see what’s in store for the new seasons of both! Have you been missing new episodes of The Price is Right and Let’s Make A Deal during the summer? Good news…the new season is just around the corner. Drew Carey and Wayne Brady will be back with new episodes starting September 19th. Each show promises lots of excitement for the first week and beyond. Here’s what’s in store for you. This season is The Price is Right‘s 45th anniversary on CBS, and Drew’s 10th season as host. To celebrate, each show will feature clips of classic scenes, unforgettable games, record wins, and the biggest bloopers. Big cash, cars, trips, and more are up for grabs for the day’s lucky contestants as always. In addition to all of this, Price will debut a new game that Friday: “Hot Seat”. In Hot Seat, a contestant can win up to $20,000 in cash. The contestant will sit in the titular “Hot Seat” during gameplay. Five small prizes are shown and each has a price. The contestant has to hit a red button if the price is higher (hotter) or a blue button if it’s lower (cooler). The Hot Seat will move the player down the line behind each item during game play. 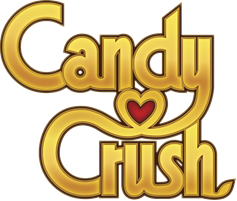 The contestant must gamble his or her winnings each move of the Hot Seat, but can win up to $20,000 playing a perfect game (other prizes include $500, $2,500; $5,000; and $10,000). We were told during the reveal that all the right answers are shown before the wrong ones, making the decision even trickier for the contestant. 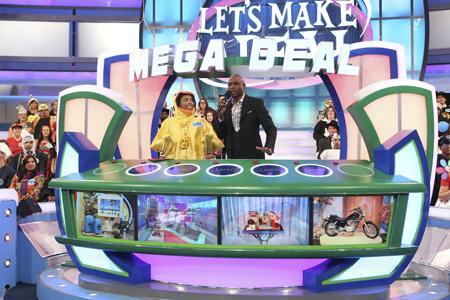 Let’s Make A Deal kicks off its eight season with the return of Mega Deal Week. This week offers traders who win the Big Deal of the Day a chance to walk away with every merchandise prize featured on the show during that day by hoping they make the right choice from a selection of buttons. Traders will compete for a total of $1.1 million in cash and prizes through the week. Let’s Make A Deal will reach it’s 1400th episode later this season and surpass the $50-million mark in giveaways since its 2009 debut. Looking forward to all the new games next week? We sure are.